Sandro Mattarei is staying for one month at the University of Milano Bicocca, invited as visiting professor. He is continuing a long collaboration with Dr Marina Avitabile on a new joint project. 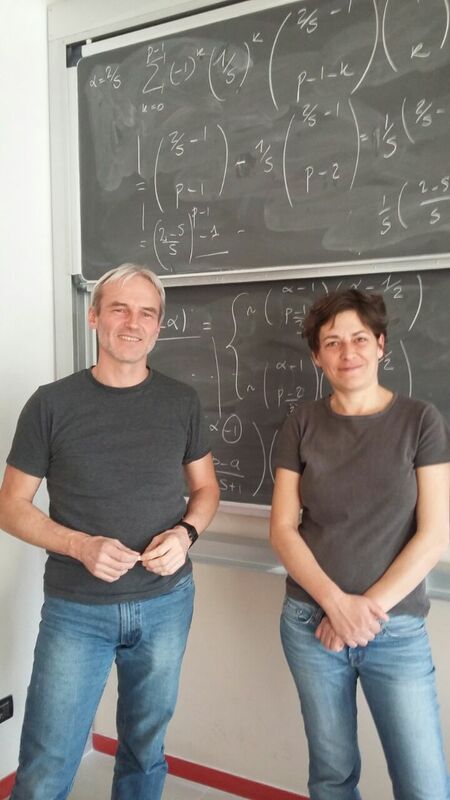 As you may guess from the notes on the blackboard behind them, binomial coefficients seem to always crop up in Sandro’s research one way or another (although the present topic is actually motivated by the theory of modular Lie algebras). 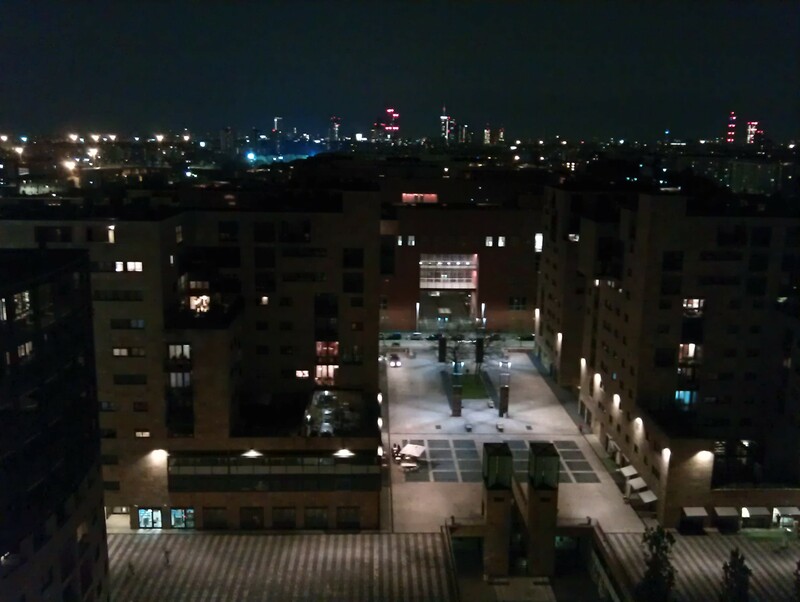 On a lighter note, here is a glimpse of Milan’s bubbling nightlife as seen from the safe distance of Sandro’s accommodation. This entry was posted on April 5, 2017 by Sandro Mattarei in News and announcements, Recent places, Talks and visits and tagged Milan, research, visit.